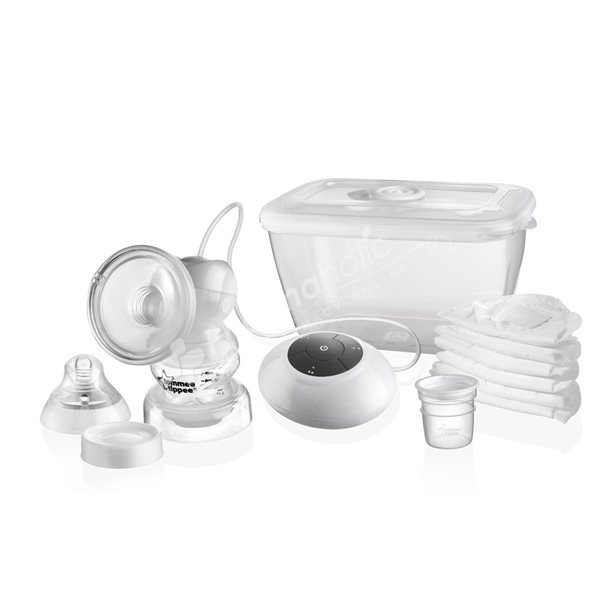 This new electric breast pump from closer to nature includes everything you need to start sterilising, expressing, storing and feeding. The unique silicone cup makes our Single Electric Breast Pump super-comfortable to use. There are 4 settings to choose from: light, low, medium and high. The easier way to combine Breast and Bottle Feeding! This new electric breast pump from closer to nature includes everything you need to start sterilising, expressing, storing and feeding. The unique silicone cup makes our Single Electric Breast Pump super-comfortable to use. There are 4 settings to choose from: light, low, medium and high. We recommend starting with the light mode to encourage milk let down, and then moving onto the setting that feels right for you. Natural Feel Expression: The Closer to Nature Single Electric Breast Pump’s soft silicone cup is specially designed to mimic a baby’s natural feeding action. Efficient Milk Expression: You can switch between low, medium and high suction levels during expressing to give you maximum efficiency and extra comfort. 0% backflow guaranteed. Extra Comfort: The new soft silicone cup combined with the new valve design provides gentle and efficient expression, offering maximum comfort for mum. Breast Milk Storage: This unique collect and protect breast milk storage system enables mum to express directly into the small graduated 2 oz pot, which fits into our closer to nature bottles for feeding.